Influenced by her Spanish Sephardic roots, French-born front woman Pauline Maudy sings in French, Spanish, Ladino and Turkish. Together with her talented instrumentalists she creates a unique blend of influences from the Mediterranean, the Balkans and the Middle East. Mzaza’s songs are inspired by tradition – gypsy passion, flamenco exuberance, the feel of the desert, and the spirit of the French wordsmiths. Mzaza’s sold-out shows across Australia and rave reviews have been demonstrations of confidence in the band. Jaw-dropping technique and unique compositions have earned them performances at major music festivals including Woodford Folk Festival, Queensland Music Festival, and the National Folk Festival. Mzaza has supported artists of international standing such as Yasmin Levy (Israel), and Barro Banda (Turkey), and has two releases that have received national and international airplay. The group’s 2011 album Journey Over Skin celebrates Mzaza’s collaboration with Flamenco guitarist Andrew Veivers. It is distributed nationally and receives airplay on ABC Classic, Radio National, Triple J, SBS and Qantas. 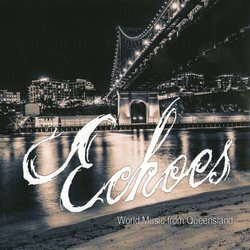 Two of the tracks were highly commended in the Queensland Music Awards 2011. The album was featured as Album of the Week on Kanaliena Radio in Greece. Mzaza matches powerful, multilingual vocals with jaw-dropping technique and gripping compositions. The band's sound is anchored in group members' French-Sephardic and Balkan origins and influenced by their love of Gypsy and Middle Eastern music.